The Litecoin blockchain can easily manage higher transactions volume. To mine Litecoin, miners have to solve the complex mathematical problems and add a new block in the blockchain. On successfully adding a new block in the blockchain, miners get rewarded with 50 Litecoins per block. The transaction time is also less in Litecoin as compared to Bitcoin. One of the best methods to mine Litecon is join a mining pool. However, if you have enough budget, you can mine Litecoins on your own, if not then mining in a pool is a best option for you. 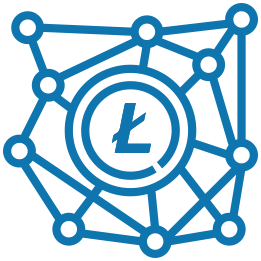 Look for a pool in which multiple users are mining together in order to get Litecoin and then share the earned Litecoins. For doing so, you can register yourself at a reliable mining site, choose my account, and change your coins to Litecoin. To begin mining Litecoin, you need to first download a wallet. 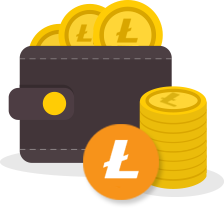 Go to the official Litecoin website, select and then download the Litecoin wallet. 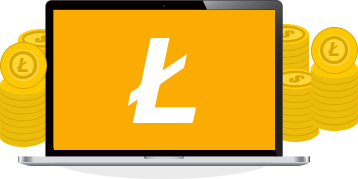 After downloading, start doing transactions – send or receive Litecoins. Software is one of the most effective methods for Litecoin mining. As per the system, miners can download the software on their operating system. For example – Windows 32 bit, Linux 32 bit, Macintosh 32 bit, and more.